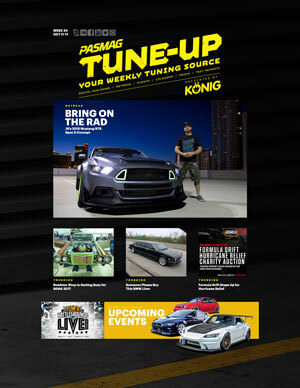 TAP’s weekly TuneUp magazine highlights the latest trends, events and vehicle from the world of tuning. New for 2018 is the two minute TuneUp video segment, which provides a highly-engaging run-down for the entire industry to stay informed. What is happening in the automotive tuning world right now. Social posts from builders, celebrities, shop owners and more, highlighting the latest trends and exciting projects from around the globe. 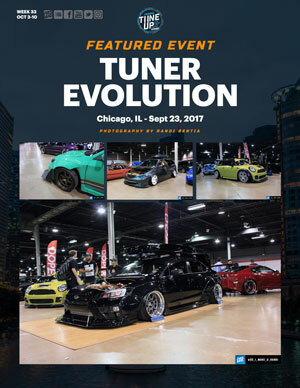 If you’re looking for the next big show or meet to hit up, this weekly calendar is your one-stop reference for anything and everything automotive. Some of our feature cars have left the spotlight, but they’re never forgotten. In our weekly digital magazine, we bring some previous features back into the forefront of the public eye to remind old viewers and surprise new ones. Who is doing what, and where? We take a look at the hottest events around the world, providing detailed coverage through photos and first-hand accounts of the event’s happenings. The latest product offerings from the automotive industry. Everything from wheels and tires to engine components and aftermarket aero. No automotive product is off limits! PASMAG’s Tuner Battlegrounds competitors are some of the most dedicated enthusiasts in the world. Each week, we pick one of our recent TBG submissions to showcase on TuneUp, giving them added exposure and an opportunity to be seen in the spotlight.